Security Operations & Solutions, Inc. understands our security officers serve as the first and last impression of your residential community. You want your residents, their families and guests to feel safe, secure and welcome. As a result, it is our mission to recruit security officers who are friendly, outgoing and positive, who enjoy working with people and are conscientious to detail so they can carry out the tasks of their post or patrol. SOS security guards expedite visitors/contractors into your residential area. We will ensure the resident is at home and expecting the visitor/contractor prior to granting them entry. Our guards document many services that can be used by the property manager at a later date if the need should arise. In addition to the security presence at the Entry Control Point, upon request, SOS will provide foot patrols for small areas and security marked vehicles for expansive resort properties. Our vehicles are wrapped in a security theme with a local phone number available for the residents to call if needed. SOS has also partnered with a local Electronic Access Control Company. 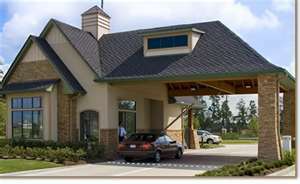 We can provide your gated community with card readers for residents that will expedite their entry. The card readers can be matched with the opening/closing of the electronic vehicle gates. Cameras can be provided to monitor the vehicles, drivers and even record the vehicle tag numbers.